If ever there was a loudspeaker company with its heart and soul in the professional audio market, it is ATC. Started in 1974 by Billy Woodman to produce drive units for broadcast and recording studios, its first design was a sturdy twelve inch woofer, something which signalled in no uncertain terms where his interest was. By the mid nineteen eighties, the company was selling to the domestic market too, and since then it has acquired a large number of devotees in the hi-fi industry. Indeed, as the company has matured it has made ever more overtures to this sector, although it’s fair to say it is only at the high end where ATC has really gained traction. 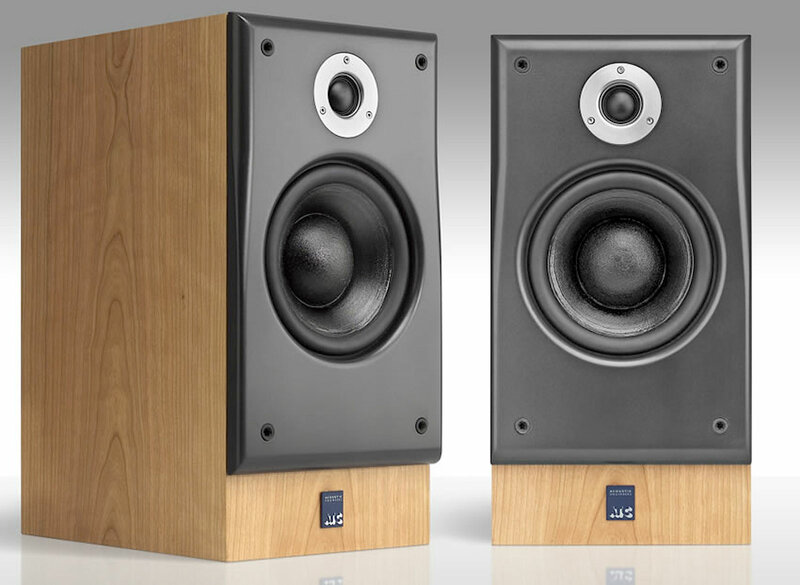 Loudspeakers like the 1986 SCM50 and SCM100 passive loudspeaker did much to make ATC’s name in audiophile circles, then subsequently the SCM10 and 20 domestic monitors broadened the brand’s appeal, and more recently the 12, 35, 7, 11, 19 and 40 have further consolidated this. At £1,500, the SCM19 was the company’s largest standmounter in the company’s 2006 domestic range. Even at the time of launch, the SCM19s looked more like something from the nineteen eighties – thanks to wide front baffles, sober styling, cherry wood veneering and distinctly old school looking drive units. Still, the technology was bang up-to-date; it featured the (then) new Super Linear version of the mid/bass unit found in the old SCM12, the 150mm unit having a heavy 9kg motor assembly which made no small contribution to the box’s hefty 16kg weight. This was partnered to a new ATC-designed and made 25mm soft dome tweeter with Neodymium magnet, crossing over at 2.8kHz. The chunky 440x223x315mm cabinets were nicely finished, but very much in an old fashioned way. Another thing that some would see as dating the ATC was its infinite baffle design. This, as with its wide front baffle, was (and is) terminally unfashionable, but the key word is ‘fashion’ here. The vast majority of box loudspeakers since the nineteen eighties have been ported, bass-reflex designs – but this is more about getting an ‘impressive’ bass out of the cabinet, rather than an accurate one. Ported speakers are also easier to drive, too. Neither of these concerns are for ATC, which seeks to do the right thing rather than the easy thing. The result is a very smooth and even bass performance, but the downside is a quoted sensitivity of 85dB. This is poor, and some independent tests have put it even lower. The upshot is that high powered solid-state amplifiers are needed; ideally 200W RMS per channel will bring them to life. However, if you intend to drive them with your old 20W NAD 3020, think again. And as for tube amplifiers, don’t be silly! ATC SCM19s sound different to almost every other contemporary loudspeaker. Instead of the usual quite tight, pinched, forward and relentlessly incisive sound you get with most moderns, they give a wonderfully full bodied, rock-solid and expansive sort of performance. They are rich and weighty; given a decent amount of watts they’re punchy and don’t compress dynamics as much as many rivals. On the end of a powerful amplifier, these are big, physical speakers that assert their presence in the room and are unafraid to shift air. They are utterly unfazed by high levels and get better as the volume control goes up. The midband offers a good deal of clarity and detailing, and a large amount of space between instruments in the mix, but you’d never call them tonally neutral. They have their own distinct sound that is invested into everything that is played, although it’s never distracting. Instead, you soon find yourself focusing on the excellent timing, especially from the bass which stops and starts as swiftly as an LED bulb. Bass extension isn’t remarkable, which is a function of a sealed baffle design, but it is always even and lacks lumpiness that afflicts virtually all ported loudspeakers. They are great rock speakers then; the first generation SCM19s love powerful, punchy music in the same way that PA speakers thrive when they’ve got a killer amplifier pushing large amounts of watts into them. In 2013, ATC revised the SCM19s and they’re now quite different beasts; still special, just a little more mainstream in their looks and sound. The original 19s are now much more affordable on the second-hand market, and great value if you have a medium sized room, and large sized power amplifier and a taste for powerful rock music. Go and hear them if you can.